One morning I woke up and realised that I want to build windsor chairs. This is my latest, and learning how to make them has kept me busy and leaving less time to photography. Yesterday I combined the two and made this tintype. 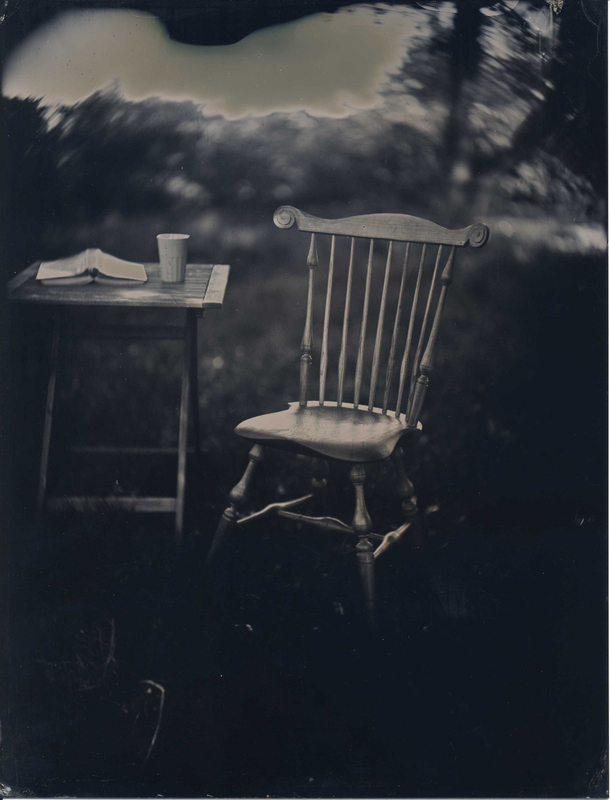 This entry was posted in Uncategorized and tagged collodion, fotografi, photography, wetplate. Nice to hear from you and that you still keep up on photography. Living in France now? At the moment I don’t have any workshops planned, but it might happen as I have one or two persons interested.